This is the 66th anniversary of the beginning of the Korean War conflict, a terrible and bitter event in American history... Though I've been nominally aware of the Korean War for some time now, it's only in the last 12 months or so that I've really begun to get a grip on the tragic events of 1950-1953. Last year, knowing that I had interest in this area, my grandmother sent me an excellent little book of first hand accounts, published for the 50th anniversary of the Korean War. You could say that after reading the book, the fire was lit and I was quite anxious to learn more. Since then, we've had the pleasure of pleasure of meeting some really charming and remarkable men from this sad war. 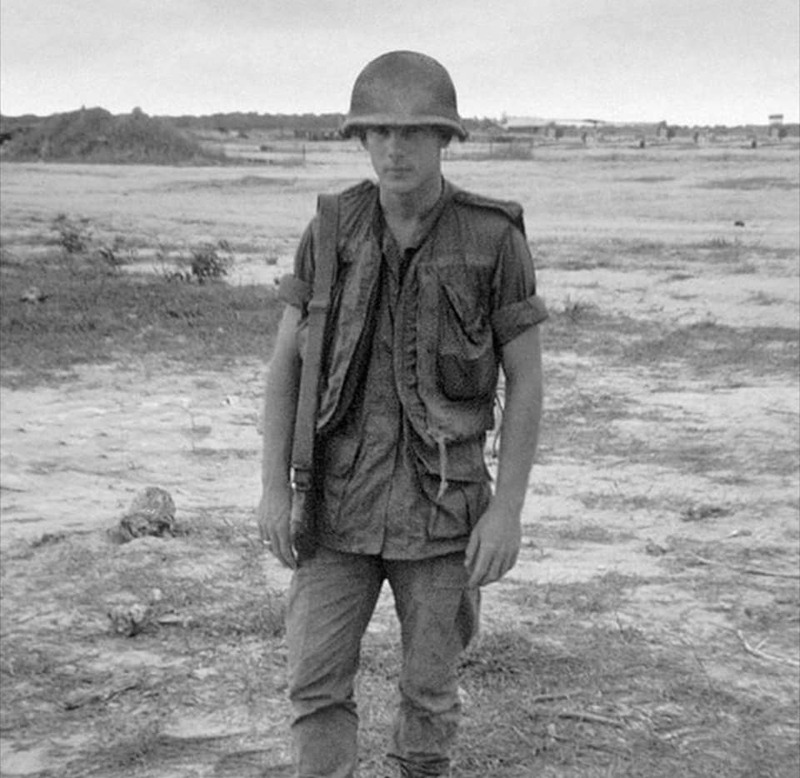 In honor of the anniversary, we'll be sharing some of their stories the next few days so that their war will no longer be called, "The Forgotten War". 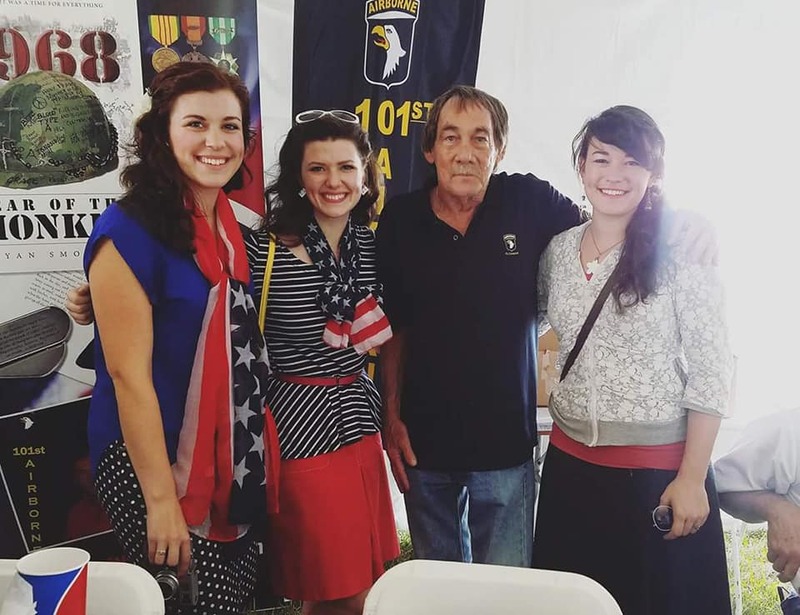 In 2014 at the Conneaut D-Day, we met the lovely Mr. Jake Kesiatie, an Army Staff Sergeant who served at the San Marcos Military Hospital in Texas during the war. A first generation American, Mr. K was born in 1918 just as the war was wrapping up. “When I was born they had to end the war... But then they had to start a war for me”. Near the hospital where he was stationed in San Marcos during the war, was an Army Air Corps training base. One day two trainer planes, with five occupants each, had a head-on crash. Nobody survived, and he was detailed with others to clean up the mess. "There weren’t any bodies, just pieces here and there -arms, legs..." He had to fill ten bags with pieces of the remains of the trainees bodies. It was a terrible memory that made him shudder as he told it to us. Several times throughout the war Mr K. tried to get shipped to overseas service, but they told him his help at the hospital was too valuable. And it must have been because he spent four years stationed in Texas. He was happy to hear we were from Texas because, besides the war going on, he had happy memories of Texas and the Bluebonnets, and of course the people. Mr. Kesatie may never have seen combat, but his role back home was vital. And for that we are very grateful to him. When I asked Mr. Stolier about the Battle of Tarawa (a three day battle on a scrap of land hardly half a mile square, with over 9,000 American and Japanese casualties), he said to me, "It wasn't a battle. You can't call something that horrible a battle.... But it had to be done." Mr. Stolier is a truly remarkable man. At 97 years of age now, he spends his time at the WWII Museum in New Orleans sharing his incredible stories. "You cannot look at someone and decide if they are brave or not. You can only find out if someone is brave by looking backwards, seeing how they have responded." This is something Lt. Lynden Benshoof often thought about when he was aboard his LST in WWII. He told us he was concerned and worried about his own actions. Would he be brave? Or would he be like his Captain, who after fierce fighting during the Africa and Italy Campaigns, finally couldn't handle any more. One day, Mr. Benshoof had found the Captain of the ship, curled up like a child, grasping tightly to a radio and pretending to be talk into it. Benshoof suggested he go to his cabin for rest. The Captain did, locking himself in and not coming out again. But if Africa, Sicily, and Salerno were tough, it wasn't the end. On June 6, 1944, Lt. Benshoof's LST took part in the D-Day Operations landing troops onto Omaha Beach. It was horrible work. "We saw all the guys stacked like cardboard on the beach and we could see all the trouble happening... There was so many bodies in the water they couldn't dodge them all." His LST would make 57 trips between England and France carrying causalities and prisoners. "One thing I learned is you can't tell a man's bravery by just looking at him." Only by looking backwards. Looking back on his life, Lt. Benshoof's greatest fear, the fear of failure to do his duty, never became a reality. He served his country well and proudly. But it is a good lesson for all of us to consider: how will *we* respond, when the trouble in our lives becomes too difficult to bear. Quit, like the poor Captain? Or persevere a little longer. Only the future will tell us how we responded to the present crisis. So let's take the example of Lt. Benshoof, and fight a little harder and stick in there a little longer. Well, this picture is not the best, but it's the story that counts. 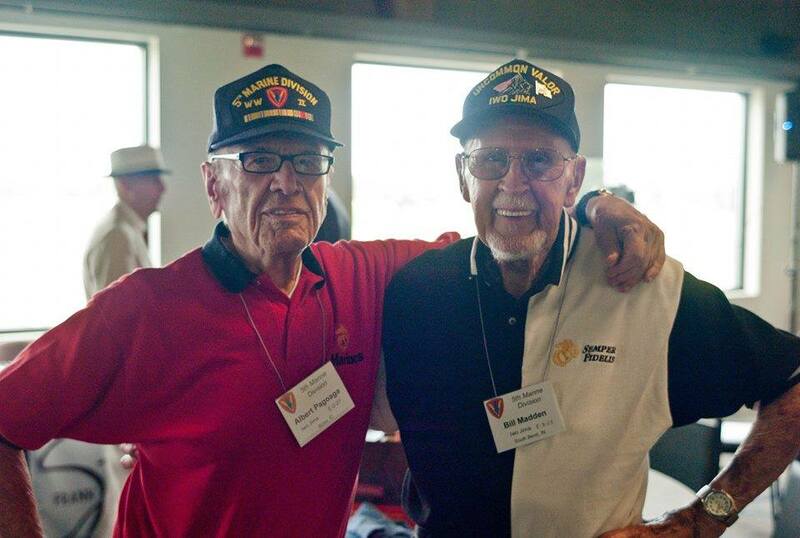 A week or two ago, at a monthly veterans luncheon we got to celebrate 200 years of birthdays between TWO wonderful veterans: Mr. Santiago Diaz and Mr. Emmett Tiner. For an hour after the lunch we listened to some pretty fabulous stories from their life. After losing a son to malnutrition, Mr. Diaz (pictured) parents emigrated to the US from Mexico when he as 4 months old, hoping to get a new start on life. He was 28 years old, married, and with a 6-month old son when he enlisted in the army in 1943. His wish was to help and protect the country that had given his family a new life. He served in the Pacific at Guadalcanal as a medic attached to the Malaria prevention team. Malaria was a worse killer than combat during the war, and took many many lives. Mr. Diaz dealt with many cases, preforming his duty well and saving countless lives. In 1945, just before the end of he war, one of his proudest moments came: he received his US citizenship. The other birthday boy, Mr. Tiner, (not in the photo but a very handsome fella) related one story from the Marshall Islands Campaign. After the tremendous capture of Gai Island (which happened to be the first Japanese controlled island we captured during the war, and a whole story in of itself) his parents were listening to the radio one evening, with no idea where their son was. "Kate Smith had a nation-wide radio broadcast once a week. And while my parents at home on the farm had no idea where they were listening and they listened to Kate Smith, and she said, "The selected soldier of the week Lt. Emmett Tiner who put the flag on the first Japanese territory of the war."" What a proud moment for them and all of America! Happy 100th birthday to Mr. Diaz and Mr. Tiner. We wish you many more years of happiness! When we first met Mr. Birney "Chick" Havey at an airshow last fall, we asked him where the "Chick" came from in his name. "In the army, everyone got a nickname," he said, "they were all 'Bud' or 'Tom" or something like that, so I went by "Chick."' We talked with Mr. Havey for a while; he showed us his "artifacts" collected during the war. A German dagger, German medals (including an iron cross), German patches, and numerous other fascinating objects. Later in the day a lady came up to us and said, "Did you know Birney Havey was one of the first men into the gates of Dachau?" Goodness! This had not even been brought up. We went back to Mr. Havey and he willingly obliged our questions, even pulling out some photos he had taken. Arriving in Europe just in time for the Battle of the Bulge, Mr. Havey had seen plenty of fighting and death by the time he reached Dachau; but despite the natural hardness that come with combat, the sight he saw that day, April 25, 1945, was enough to turn the strongest man's stomach sick. His anti-tank unit came in through the back, discovering around 300 train car-loads of dead and rotting bodies. He said of all those prisoners, they only found one alive. From there they went into the camp, and the horror did not abate much. He saw "people living inside post office-like slots, three or four in each hole. They were alive, but some were dying in there, others were too weak to get out." Rounding up several of the SS still in the camp, they lined them up and shot them. Mr. Havey only stayed in the area a day and a half before his unit moved forward, but that day left permanent mark in his mind, and no doubt brought renewed meaning to the reason he was fighting.